Josh Eichorn: saving on everything he needs for the great outdoors. Deep within Dimension-X, Rex Dexter attempts to calm his wife over their plight by pointing out that it is not as dire as the situation first seems. Although they are trapped in this realm Rex has managed to escape it before. He states that they simply need to reach Glum World and convince its ruler to send them home so that they can confront Dragon. Horridus points out that there are numerous planets that now resemble Glum World. Rex suddenly realizes that Dragon now has access to his spare Battle Tank armor as well as his other resources and could be using them in his schemes. Robot Rex tries to learn just what his new master is planning but Emperor Kurr has no intention to pass on that information to anyone. He sees no point in risking his plan’s discovery in case an enemy can somehow find a means to stop him. Kurr instructs Robot Rex to simply carry out his directive which is to obey his every command and pose as Rex Dexter, ensuring his presence goes undiscovered. The Little Wise Guys head over to Hillman Hospital to check up on Daredevil’s condition and are thrilled to discover that he has made a full recovery. Daredevil mentions that he kept hearing a guardian angel’s voice talking over and over to him, aiding in his recovery. 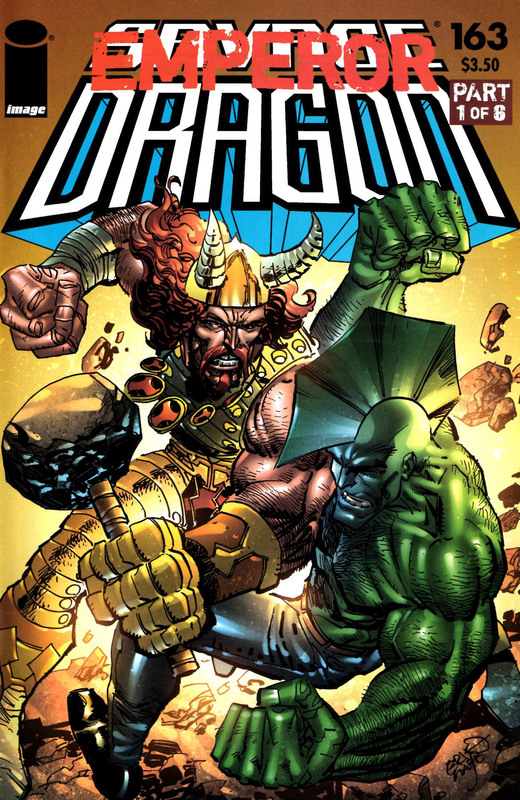 This voice is revealed to be Angel Dragon who then gave Daredevil a transfusion of her blood. This transfer of blood is what enabled him to regain his mobility and ultimately completely heal from his injuries. Over in Detroit, the Deadly Duo considers the damage that has been done to their reputation in the wake of their clash with Kurr. The Kid Avenger feels bad that their siding with Kurr resulted in Neutron Bob’s near death but Kill-Cat is more concerned with how they look to the public. The heroes had been visiting Neutron Bob in hospital but when they hear his mother arrive vowing to punish those responsible for her son’s condition, they opt to flee the scene. Angel enjoys her sixteenth birthday party which is attended by a number of her friends. She feels bad that her counterpart from this reality is spending her birthday in Dimension-X with Mister Glum and wishes that they could retrieve her. Tierra Jones thinks that the idea of going into Dimension-X sounds fun but Malcolm is quick to point out that that dimension is filled with terrors. Daredevil then arrives out of costume and thanks Angel for her help before leaving. She had no idea who he was and had been freaked out by him, only to be informed of his identity by the Little Wise Guys. On Glum World, Thor battles against Mister Glum after hearing that there was a way back to Earth on this planet. His threats against Herakles and Dragon lead Glum to call a truce and he offers to help Thor out if he promises to go after Dragon first. Thor is not bothered which of his enemies that he kills first and accepts this condition, eager to claim revenge for being exiled in Dimension-X for years. He is teleported back to Earth and is surprised arrive in Rex’s laboratory and face-to-face with Dragon. Thor immediately attacks his intended victim but Emperor Kurr has no idea who he is or why he would wish to kill him. Robot Rex leads his fellow robots into battle to defend their master but they are knocked back by debris that is caused by the fight. Kurr is insulted by the assault upon him but as he tries to defeat his assailant, it soon becomes clear that he is outmatched in terms of power. Thor’s blows force the pair through miles of dirt until they finally reach the surface in Chicago. Kurr is left reeling from the confrontation but he manages to take the upper hand when he strikes Thor’s ears to deafen him before stabbing his fingers through his eyes. As destruction occurs all around them, a building collapses on the disabled Thor. Kurr moves in and picks up Miolnir but the hammer’s mystical energies burn through him and leave Kurr badly injured. With Thor dazed, Herakles emerges from the shadows with the God Squad and they take the renegade Thor into their custody. 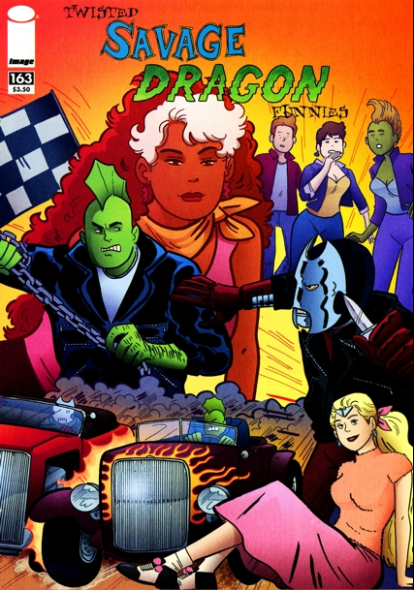 Seeming set in the 1950s, Dragon drag races against Overlord, with his woman and car held as the prize.